Visualisation tool for developing real-time 3D applications. The Seagull 3D visualization tool is designed by Transas for various types of systems based on 3D simulation and is ideal for marine applications. Seagull 6000 realistically simulates the sea surface, with an option of configuring water transparency and reflection, wave and wind force and direction. 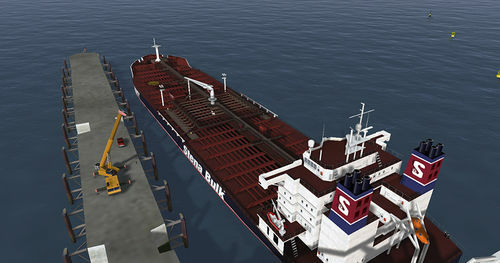 Features include automated calculation and rendering of effects such as 3D bow waves, water splashes and wake waves. There is an option to retrieve sailing areas, ship models and 3D objects from the Transas library, which covers almost all sailing regions (including the development of a sailing area upon request).